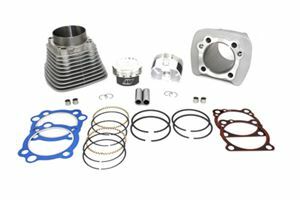 Big bore cylinder kit for 883-1200 conversion on Sportster models. 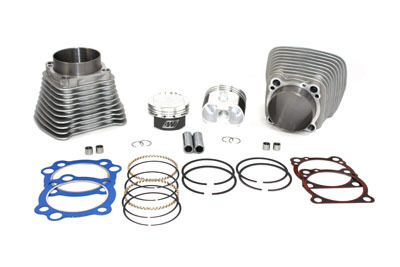 Increase your horsepower with our V-Twin 883cc to 1200cc big bore conversion kit. Our kit includes 2 silver finished cylinders with milled edge fin. 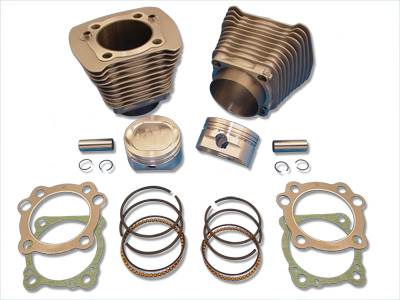 Cylinders are pre-fitted with Wiseco 10:1 piston and ring set. Kit includes both base and head gaskets. Kit will fit 1986-2003 XL's.